KCS F3A 4059 is a "celebrity" of sorts. The streamlined cab unit was initially built as EMD F3A (Phase V) Demonstrator #59/951. It was acquired by KCS in November 1948. Ownership of the 59A was later transferred to subsidiary Louisiana & Arkansas. 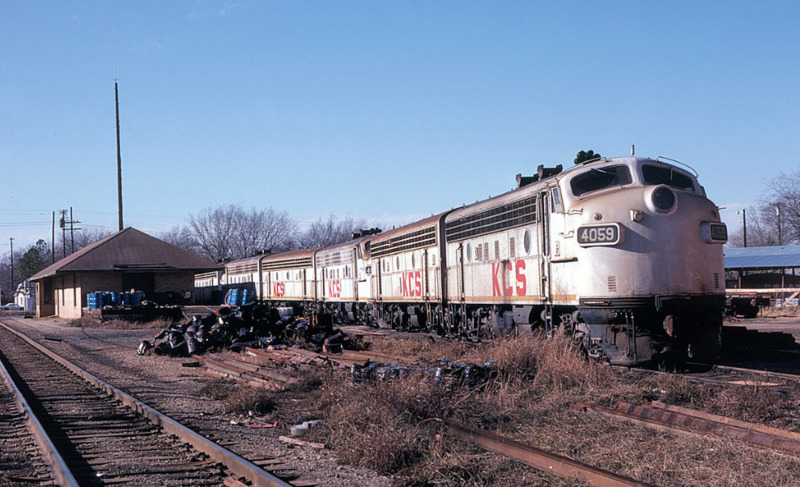 Paul DeLuca photographed the locomotive, along with other idled F-units at Sulphur Springs, TX on January 3, 1982.